to one electrode or the another. Greek for the verb meaning going. which has a negative electric charge. than protons, it has a net negative charge. than protons, it has a net positive charge. or cations attracted to the negative cathode. times 10 to the minus 19 coulombs. instant joy, simple as going. 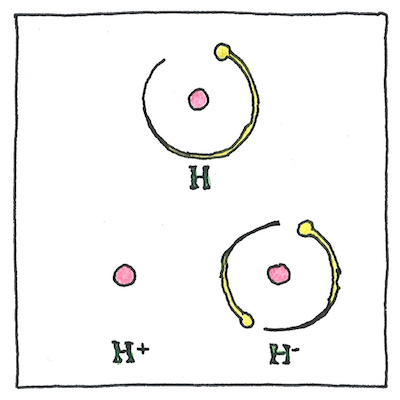 An ion may be monatomic or polyatomic. A household air ionisers give air molecules a negative charge so that, floating around a room, they attach themselves to positively charged particles of dust or air-borne bacteria so that they are more readily removed from circulation.